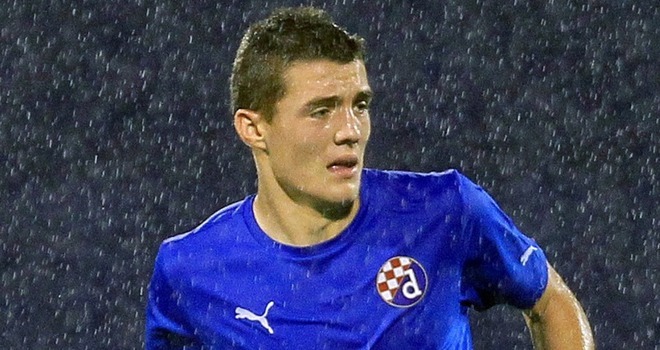 Dinamo Zagreb possess one of the brightest upcoming stars in Croatian football – Mateo Kovacic. 17-year-old Kovacic was the youngest ever debutant in the Prva NHL, Croatia’s domestic top flight, and grabbed a goal on his debut at 16 years and 198 days against Hrvatski Dragovolijac. The attacking midfielder currently represents Croatia’s under-19 and under-21 sides and is being tipped to receive a call to the senior side soon. Possibly in time for the summer’s European Championships? Obviously a player of this calibre and potential is attracting a lot of interest from across Europe. Major European sides such as Arsenal, Manchester United, Juventus and Bayern Munich are unsurprisingly all interested in the services of the attacking midfielder. When signing the youngster to their academy, Zagreb faced stiff competition from a host of European powerhouses. All these clubs tried to lure Kovacic’s family into making the move to their respective club. These sides included Juventus, Ajax, Bayern Munich and Stuttgart, who offered his father a highly-paid job at car manufacturers Mercedes. This season Kovacic is a regular in the Zagreb side and all this success comes through a strong comeback from a broken leg he suffered in 2009. He made his return in 2010 for Zagreb’s under-17 side against Hadjuk Split and has never looked back since. In Croatia, Kovacic has been likened to the inspirational playmaker Robert Prosinecki who was a star for the national side throughout the nineties. Technically, Kovacic has unbelievable potential. There has been talk that he could live up to the standards that Lionel Messi is producing every single week. This would be all good and well, but he suffers from the same problem that Messi does himself – his height. Kovacic is a modest youngster and instead of looking up to Messi, he’d prefer to take a more defensive approach and claims that his idols are Andres Iniesta and Cesc Fabregas. I’m sure we’ll see a lot more from Kovacic in the future – so watch this space.